When you have kids it's difficult to travel so when you are given the change you appreciate it even more! Last June my lovely sister-in-law graduated from Kodaly Institute of the Liszt Ferenc Academy of Music with a MA degree in Music Pedagogy and my mother-in-law and I traveled there for the graduation. Kodály Institute is located in Kecskemét, a small town 90 km from Budapest. We were lucky to spend 2 days there and experience the real Hungarian life. 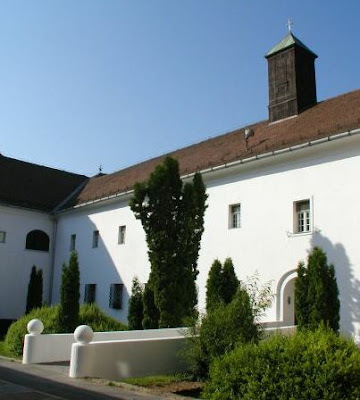 The Institute is located in the building of a one-time Franciscan monastery where you can see an exhibition showing the life of the famous composer and music educator, Zoltán Kodály. The City Hall is one of the best-known buildings of Kecskemét. It was built between 1893-1897 according to the design of the architects Ödön Lechner and Gyula Pártos, in the style of Art Nouveau. The building reminds the visitor of the Renaissance castles of the Highlands with its dignified simplicity, varied facade (decorated with majolica), and colorful glazed tiled roof. It is a significant element of the Main Square of Kecskemét, and the building’s carillon has been heard hourly since 1983 from its 1st floor balcony. The main attraction of the city is the Main Square with its buildings and green areas. The Main Square was first created in 1894. Between 1910 and 1914, some architecturally beautiful buildings were built around the square. This is not just one square, but made up from seven, all interlinking with each other. 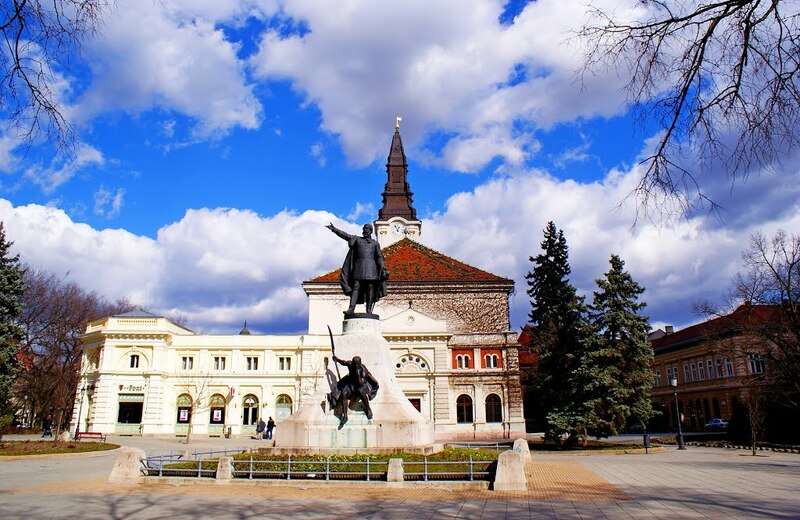 This historical central square is characterized by the presence of churches, representing the most important denominations of Hungary. Among them are the Calvinist Church, built during the Turkish rule of Hungary. The Franciscan church, which is the oldest building of the town, the Holy Trinity Orthodox church built by Greek salesmen who settled in Kecskemét. The one-time synagogue, renovated in the 1970s, as a Center for Science and Technique as well as the Piarist church, constructed at the beginning of the 18th century. In the central square, you can find a 73m building, the "Nagytemplom" (Great Church), which is probably the best-known construction of the town. On the top of Malom Shopping Mall you can catch the best view of the city. After 2 days in Kecskemét, we were ready to head back and explore Budapest. I had a general idea what to expect, but I ended up LOVING Budapest!! It was so gorgeous, not crowded, had incredible food (post about food is coming soon!) and was SO inexpensive!! I fall in love with this city. It is truly one of Europe’s most beautiful cities! We stayed on the Pest side, on the Jewish Quarter in a beautiful small apartment. I'd never before stayed in a rental and I loved the idea. It was clean and spacious and everything was in walking distance. On top of all that, it was very cheep. Since we arrived at the afternoon, we took a small walk around the city before dinner. 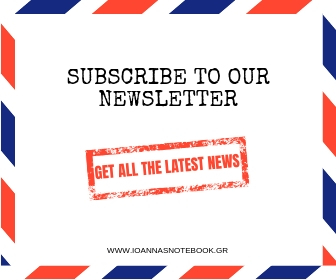 Did you know the Rubik’s Cube and the ball point pen were invented in Hungary? Saturday was Graduation Day. The ceremony was held on the The Liszt Academy of Music, an impressive building in Art Nouveau style. The inside of the building is decorated with frescoes, Zsolnay ceramics, and several statues. We were lucky because that Saturday was the European Night of the Museums and with a small fee (5 euros) we had the chance to visit any museum we wanted until 4 o' clock in the morning. It was a very long and exhausting night but it worth it! First stop was the Heroes' Square which is dominated by the Millennium Monument. It was built in 1896 to celebrate the 1000-year anniversary of the founding of Budapest. Its centerpiece is a column topped by Archangel Gabriel holding the Hungarian Holy Crown. 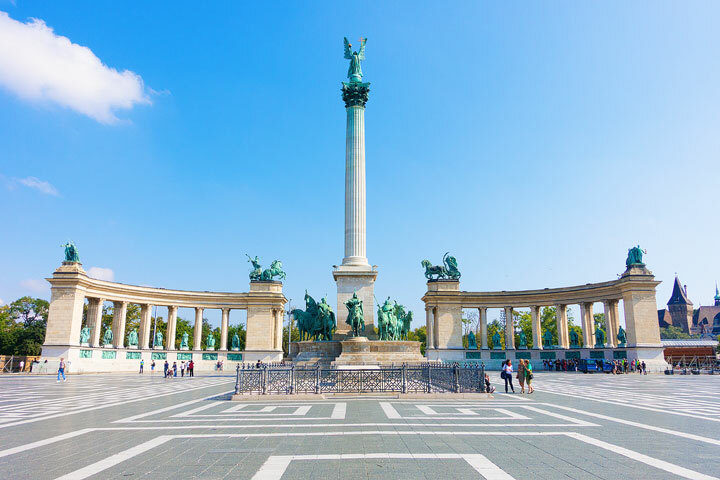 Behind that are two semi-circle that include statues of kings, governors and famous characters of the Hungarian history. At the pedestal the equestrian statues commemorate Árpád and the seven chieftains of the Hungarian tribes, who settled their people in the present territory of Hungary. Next, we took a walk through City Park (behind Heroes Square) to the fairytale-like Vajdahunyad Castle. An imitation Transylvanian Castle incorporating 21 architectural styles from across Hungary. It was built for the Millennial Exhibition, and it has been used to host the museum of agriculture starting in 1897. A food festival was held there and we checked all the different food booths. We also got a peek at one of Budapest’s famous Turkish bath houses, the Széchenyi Spa. The water is supplied by two hot springs, and it’s the largest medicinal bath and one of the largest public baths in Europe. The first thermal bath opened there in 1881. We were in a hurry to catch all the museums (I know sounds crazy), so we decided that it wasn't spa time! We walked down Andrássy Avenue, an iconic boulevard dating back to 1872. It is lined with luxury boutiques and old mansions. One of the Museums I was really curious to see was The House of Terror. It's a memorial to the victims of the communist and fascist regimes of the 20th century. It's located in the former headquarters for the secret police of both the Nazi and Communist governments. 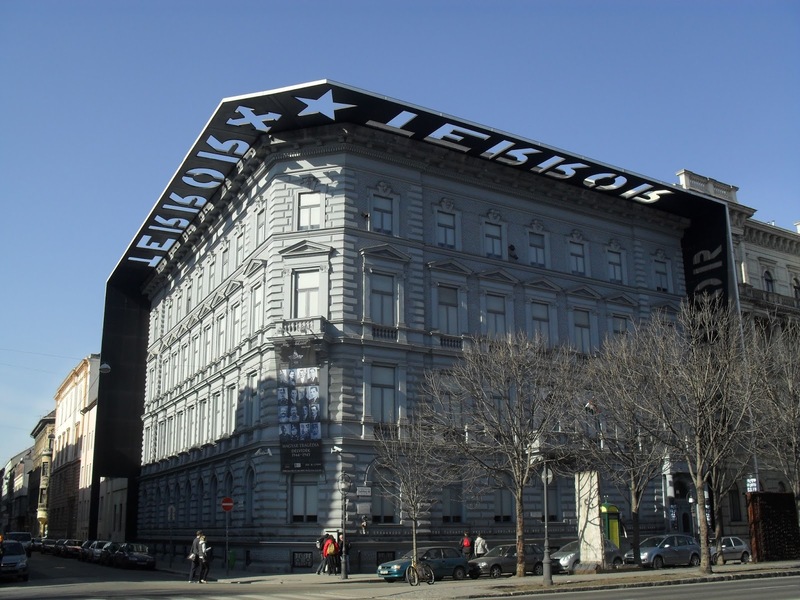 The building's awning has the word TERROR cut out of it, and when the sun projects through these letters, it symbolizes the terror which was projected onto the Hungarian people for fifty years. and an Iron Curtain monument. The museum's atrium features a Soviet tank and a huge wall covered with portraits of the victims of this building. There are all sorts of displays telling the story of the incomprehensible brutality of the Nazis and the Communists in Hungary, and although it is in Hungarian, there are plenty of English handouts and audioguides that explain everything and give a powerful experience. The basement has been restored to how it was then, with its tiny stone cells where dissidents were tortured and killed. Visiting this museum is like a punch in the stomach! After dinner we took a walk along the River and we ended up at the Hungarian National Museum. A visit there was not in the original plan but it was a cold night and we needed to stop somewhere. Bottom line I'm glad that we did. The building is beautiful and the museum is very interesting. It showcases the Hungarian history throughout the years without being boring. On the way back to our apartment, we bump into another impressive building with two clock towers topped with green onion domes. 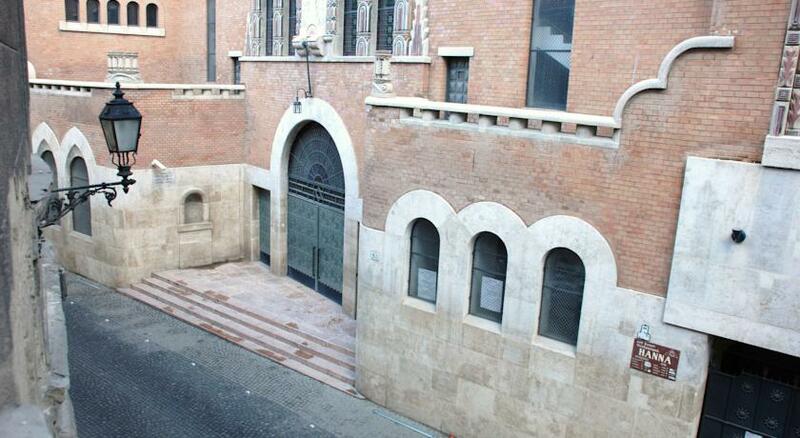 It was the Dohány Street Synagogue, the second largest synagogue in the world and the largest in Europe. Dohány Street, carries strong Holocaust connotations as it constituted the border of the Budapest Ghetto. The Budapest Ghetto served as shelter for the city Jews and a lot of people died there from hunger and cold during the winter 1944-1945. A trip inside was worth the detailed security control that we went through. The complex consists of the Great Synagogue, the Heroes' Temple - a memorial to Hungarian Jews who gave their lives during World War I, the Jewish Museum with a display of Jewish artifacts from the region, the Jewish Cemetery - where over 2.000 people are buried there and the Raoul Wallenberg Holocaust Memorial Park with a magnificent sculpture by Imre Varga, in memory of those who had died and disappeared, depicting a weeping willow with the names and tattoo numbers of over 400.000 people. 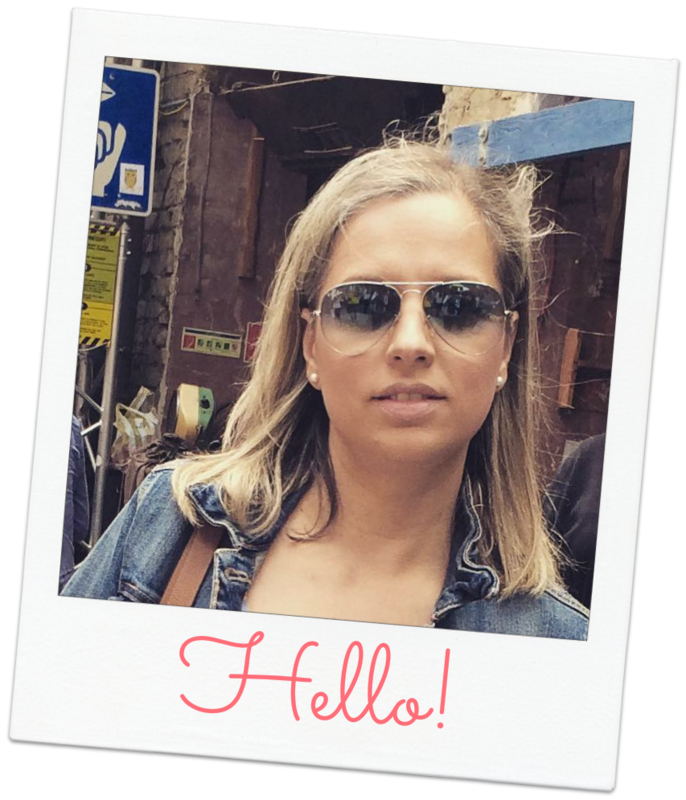 Sunday morning, it was time to explore the Pest side, but not before we check out Budapest's oldest and most famous Ruin Pub, the Szimpla Kert. Ruin Pubs are one of Budapest’s most unique attractions. They are bars that pop up in formerly abandoned buildings and are decorated with just about anything. They are very popular hot spots. Every Sunday, Szimpla Kert hosts one of the city's best farmers market, full of fresh products and tasty meats and cheeses. 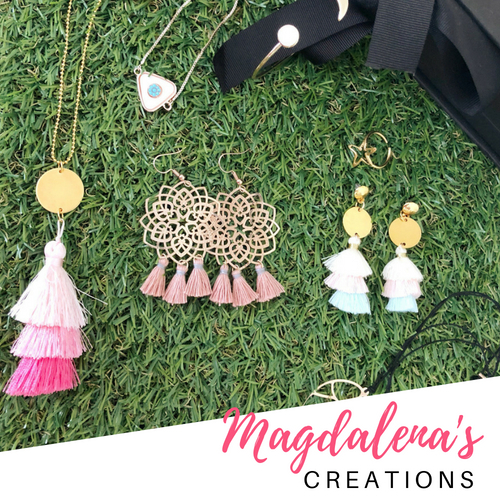 There were plenty not only to look at and buy but to try as well on the spot. There was surprisingly a lot of people at the market and it was quite crowded the whole time we were there but it was a nice atmosphere with live music and overall a great experience. I'm glad that we visited! 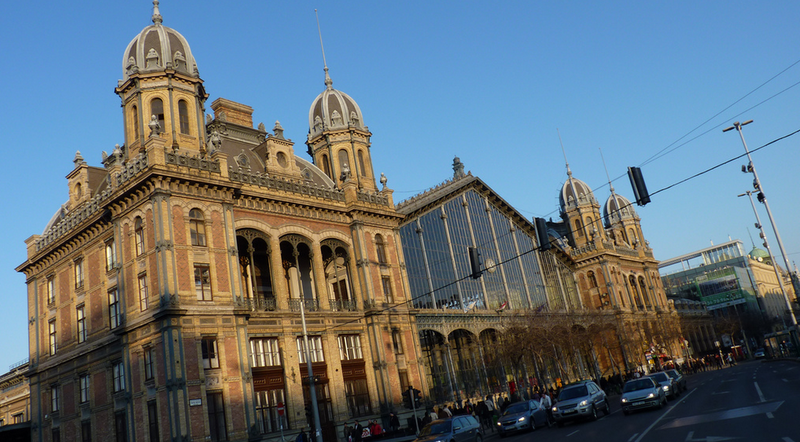 We took a quick look to the Gellért Baths and we headed to the Castle Hill. Castle District is an incredibly interesting part of city, full of history, beautiful architecture and outstanding viewpoints. We had so much to see there but the highlights were the Royal Palace, Matthias Church and the seven towers of Fisherman's Bastion. The Royal Palace, was built in the 13th century and it was extended in the 14th century, becoming probably the largest Gothic palace of the late Middle Ages. Construction continued during the following centuries but it was completely destroyed when liberating Buda from the Turks. In the 18th century, a small Baroque palace was built. During the Austro-Hungarian Empire, the palace gave home to lavish ceremonies symbolizing peace between the dynasty and the nation. The process of rebuilding the Royal Palace continued in the 19th century, and it was finished in 1904. At the end of World War II, the palace was badly damaged. It was rebuilt once again, in Neo-Baroque style, using many original parts. Nowadays, the Palace is home to the Hungarian National Gallery, the Budapest History Museum and the National Library. After a visit to the Palace, we head north on Castle Hill towards Saint Matthias Church. It was breathtaking, hard to believe this church is over 700 years old! The roof of the cathedral is adorned with stunning mosaics. The coronation of Austrian king Franz Joseph I and his wife Elizabeth was held here, which marked the establishment of the Austro-Hungarian Empire in 1867. 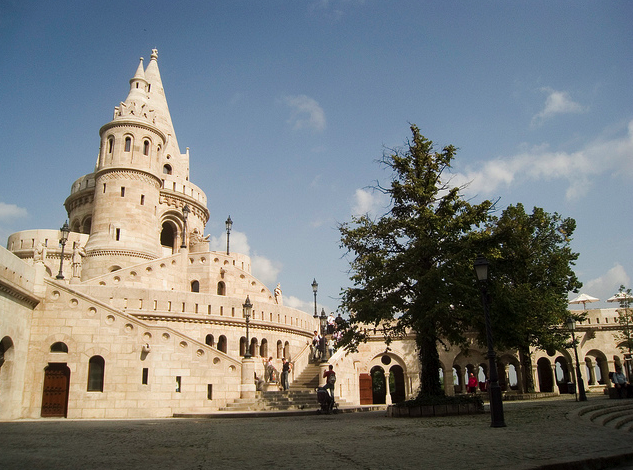 Just beside Matthais Church is another one of Budapest’s most well-known landmarks, Fisherman’s Bastion. 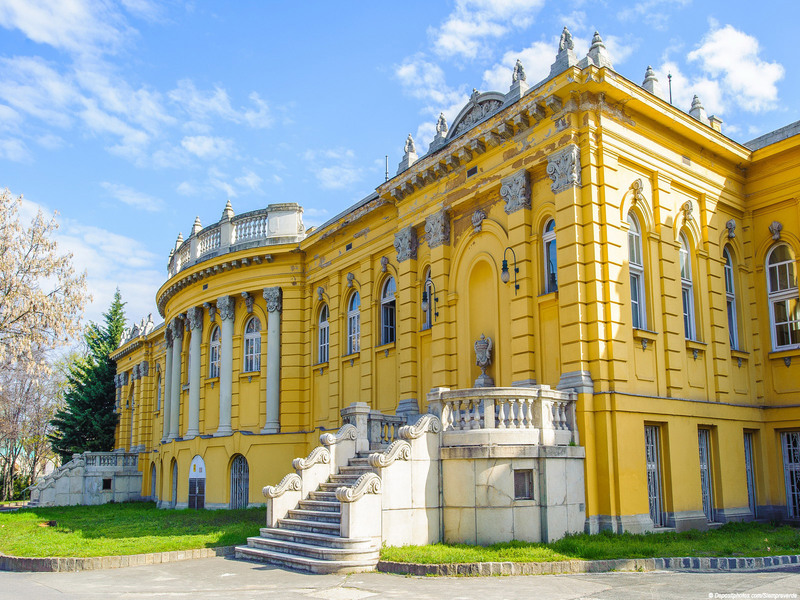 It was built in the late 1800s to celebrate the 1000-year anniversary of the founding of Hungary and provides some of the most spectacular views of the city. After our tour, we decided to buy ourselves some sandwiches and have a picnic lunch at Margaret Island. Margaret Island is a small (2,5 km long) island in the middle of the Danube. The whole island, is a huge green park with a couple of sport facilities but its highlight is the "Music Fountain", a fountain near which music is played. The water springs out according to music, so that the fountain seems to dance at the various classical themes reproduced. On our last day in Budapest we stopped for a coffee at the famous New York Café. We couldn't leave the city without visiting one of the most historical cafes in Europe. In the beginning of the 20th century the New York was the most beautiful café in the city. Located on the ground floor of the luxurious Boscolo Budapest Hotel (formerly the New York Palace), this was a popular spot among writers and editors. Virtually all intellectuals of the era were either regulars here or dropped by from time to time to catch up on the latest news and gossip. Many authors wrote and sometimes even sold their books here and some of the most influential newspapers were edited on the second floor. After World War II, the once famous café fell into disrepair and it served as a sporting goods shop. Although the café reopened in 1954, under the name of Hungária, it wasn't until 2006 that the New York Café was restored to its original splendor. 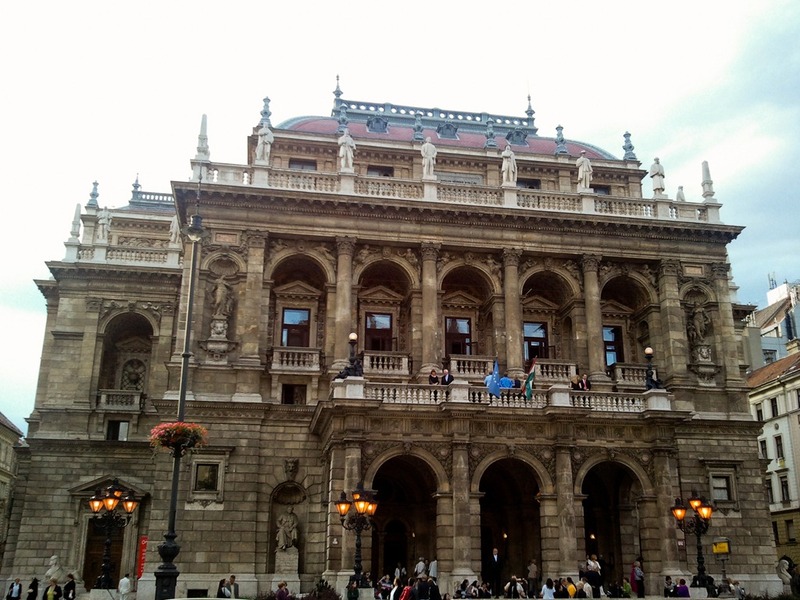 Our final stop before headed to the airport was The Hungarian State Opera House. 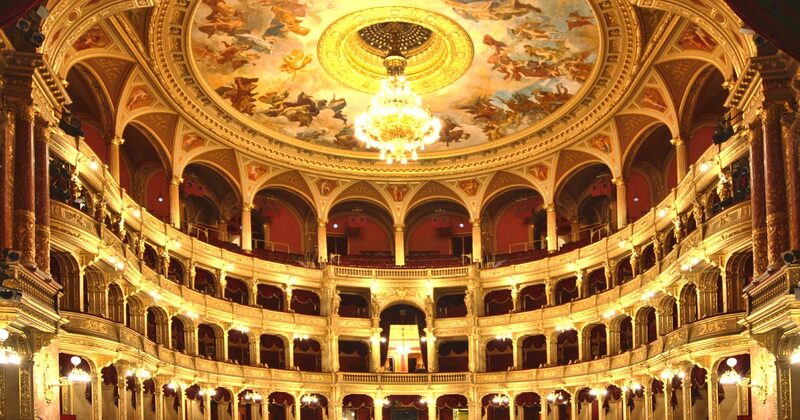 The largest opera house in Hungary and one of the most beautiful Neo-Renaissance buildings in Europe. Construction began on the building in 1875, funded by the city of Budapest and by Emperor Franz Joseph of Austria-Hungary, and the new opera house opened to the public in 1884. It is a richly-decorated building and is considered one of the architect's masterpieces. It was built in neo-Renaissance style, with elements of Baroque full of paintings and sculptures by leading figures of Hungarian art. Although in size and capacity it is not among the greatest, in beauty and the quality of acoustics is considered to be amongst the finest opera houses in the world. The mail hall is decorated with a bronze chandelier weighing 3050 kg. It illuminates a fresco by Károly Lotz, depicting the Greek gods on Olympus. The royal box is located centrally in the three-storey circle. It is decorated with sculptures symbolizing the four operatic voices - soprano, alto, tenor and bass. Of course, when you travel, time is never enough to see everything so, we missed some things and hope for a second trip to Budapest. 1. St. Stephen's Basilica. It is named in honor of Stephen, the first King of Hungary. It is the third largest church building in present-day Hungary and the tallest building in Budapest. 3. Shoes on the Danube. The memorial honors the Jews who were killed by fascist Arrow Cross militiamen in Budapest during World War II. The Jews were ordered to take off their shoes, and were shot at the edge of the water so that their bodies fell into the river and were carried away. 4. Gellért Hill. Another great place to enjoy beautiful views the city. 5. Memento Park, a grassy area filled with the communist, Soviet-style statues torn down after the revolution in 1989. Overall it was a great trip. Budapest is one of the most beautiful cities in the world and as soon as you arrive there you feel the influence from many different countries and periods in history. The Romans, Magyars, Turks, Austrians, and Soviets have all left their mark on Budapest, helping shape it into the city it is today.